Another scenario involving TNC Predator and their star is stirring up some drama. 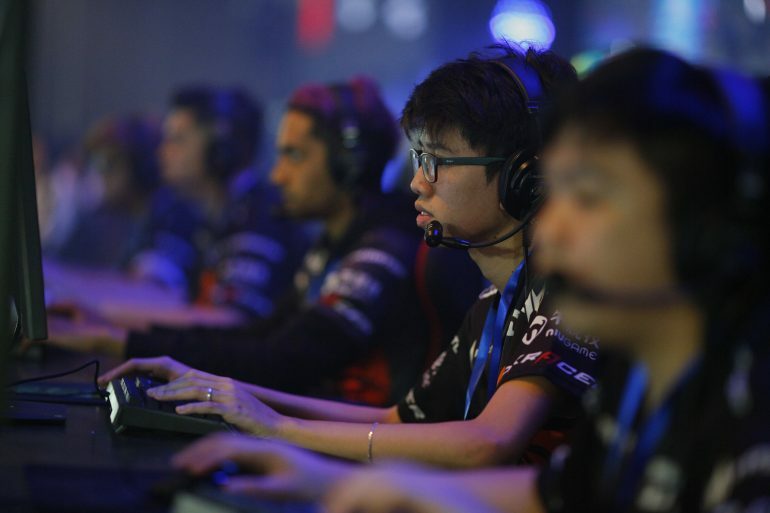 After Carlo “Kuku” Palad was banned from competing in The Chongqing Major in January, he finally rejoined TNC Predator in the past week to compete for a spot in the StarLadder ImbaTV Dota 2 Minor. Valve issued a ban on Kuku for the last Major after the player posted racist messages in the Dota 2 game chat during a match. The developer was unhappy with how Predator handled the situation and stepped in, but not before the drama got out of hand. Things got so bad that commentators and other personalities began refusing to work with Valve until they either lifted the ban or found a better way to handle the situation. The Chongqing Major came and went, with Kuku sitting the event out and his team placing in a tie for ninth. Following the event, Kuku rejoined his team to prepare for the DreamLeague Season 11 qualifiers. Not only did the full-power Predator squad miss out on a chance to make it directly into the Stockholm Major when they were eliminated by WarriorsGaming Unity, but they also couldn’t make it into the Minor’s closed qualifiers. After their hopes of making it into the next round of Dota Pro Circuit events, Predator turned their eyes towards World Electronic Sports Games 2018, an event that they qualified for back in December. They would be representing Southeast Asia as the top seed from their region. But before they could truly start prepping for the premiere event, WESG issued a statement saying that Kuku would not be allowed to attend the event due to a decision by the Chongqing city government. CyberSport was able to get a more detailed quote from the organization. Following the announcement, many were waiting to see what Valve would do about the situation. About a day after the initial news broke, Daniel J from Valve made a post to a thread on Reddit to bring a little more clarity to the situation. He talks about how local officials were worried about potential safety issues, but Valve was confident they could handle it because they had experience in doing so. But once the ban was in place, they didn’t fight it. That last line is extremely important because this year’s biggest tournament, The International 2019, is being held in Shanghai, China this year. There are already some pretty high tensions from the previous Kuku drama on how this could affect potential TI9 work for players and talent. It is unclear what this ban will do, but the general feeling around the Dota scene is that it is unfair to Kuku. He was already forced to miss one of the biggest events of the year and was required to pay a significant fine as a result of his actions. This compounding of punishments has led to several teams and players speaking up about the ban. Some in a more joking way, while others seem concerned with what this could mean in the future. Predator has yet to make a statement on the recent developments around their team captain. Right now it appears that, should Predator qualify for TI9, Kuku will have no issues attending the event in Shanghai. Meanwhile, his team will find someone to stand-in for him as they prepare to play in WESG 2018 from Mar. 7 to 10.